Sunday marks the beginning of daylight saving time. While most will welcome the later sunsets, losing an hour of sleep can interrupt our sleep schedules. If you find yourself still feeling in a funk Monday morning, Cleveland Clinic’s Dr. Michelle Drerup said do not reach for another cup of coffee or take a long nap. Rather, go outside and take a walk. 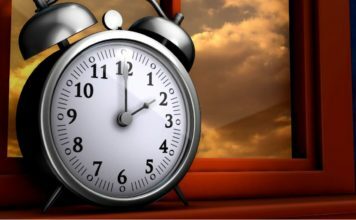 People who are already sleep deprived tend to feel the ill effects of the time change the most. If you are worried about delaying you day by spending more time in bed Monday morning, Dr. Drerup suggests getting more light exposure instead. If you do not suffer from sleep difficulties, Dr. Drerup said taking a short 10 minute to 20 minute nap, but dosing off before bedtime in the evening or taking too long of a nap is not a good idea. It can throw off your sleep routine.